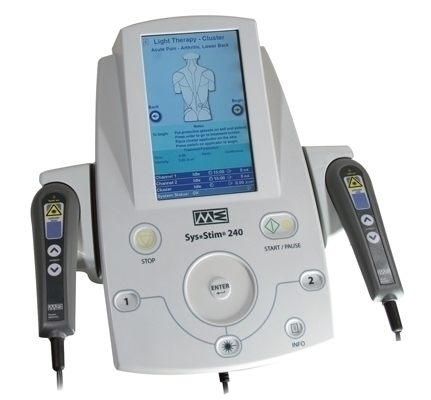 Since the first ME 200 muscle stimulator was introduced in 1976, The Sys*Stim line of electrical neuromuscular stimulators has provided value. Each Sys*Stim stimulator is easy-to-use and has a variety of features that include a variety of popular waveforms, programmable output modes and portability. 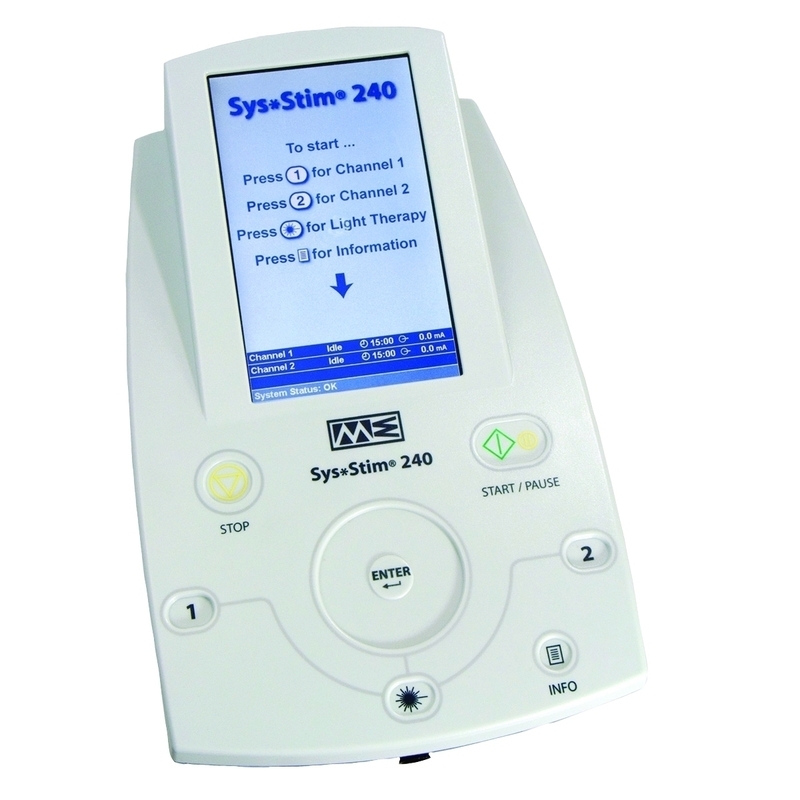 The Sys*Stim 240 neuromuscular stimulator has nine discrete waveforms: Interferential (4 pole), Premodulated (2 pole), Medium Frequency (Russian), Biphasic, High Volt Pulsed Galvanic, Microcurrent, TENS-Asymmetrical Biphasic, TENS-Symmetrical Biphasic and Galvanic (Continuous DC) waveforms. In addition the clinician can set on/off times, up and down ramps, pulse width and frequency along with frequency modulation for some of the waveforms. The 240 offers both laser and infrared technology. Unlike most other units, the 240 has the light therapy software already built into the unit. All you need to do is purchase either the laser probe or the cluster probe for light therapy capabilities. Dimensions: 13" x 8" x 8"